Suddenly, students from Bridgeport, Connecticut’s St. Ann Academy try to glimpse the juvenile, foot-long specimen before it slithers out of sight. 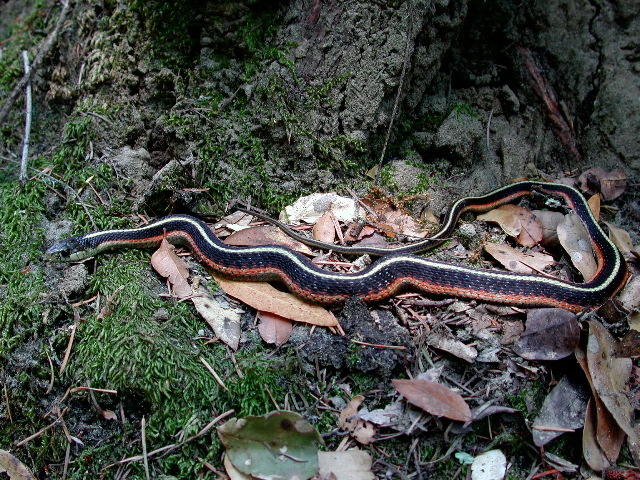 Common garter snakes like this one are fairly . . . common. They slither around warm spots in the Marin Headlands—and most areas in the Golden Gate National Recreation Area. Marshal Hedin, courtesy Wikimedia. This file is licensed under the Creative Commons Attribution-Share Alike 2.5 Generic license. From then on, in this wetland restoration area overlooking Rodeo Beach, it was all action on this short hike. Our guide, wildlife biologist Patricia Valarcel, finds a green tree frog that she holds in her hand while students gather around holding up cell phones to take photo and video of the little amphibian. 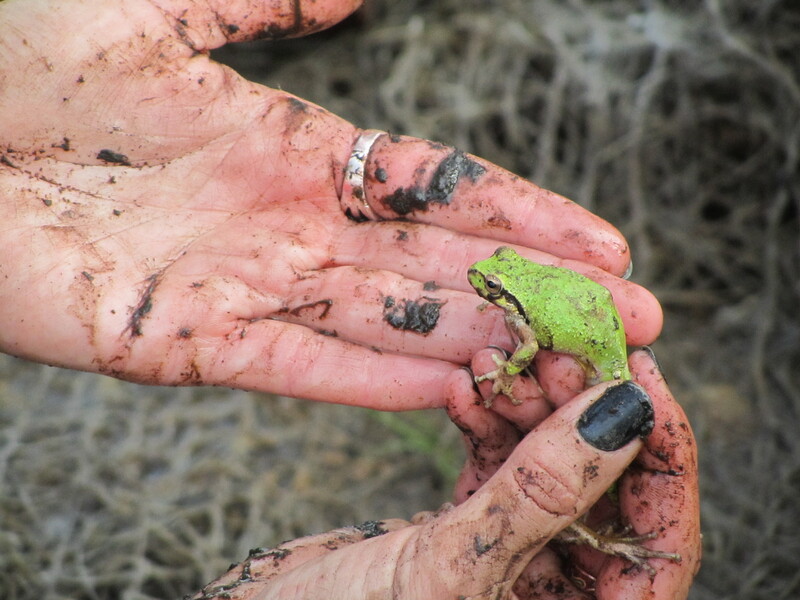 Valarcel shows off one of the Marin Headlands’ green tree frogs. Then St. Ann Academy student Rocco Leito finds some tadpoles in a puddle nearby. Seconds later, another tree frog is spotted. Standing over the hopping frog, junior biologist Leito explains the connection. “This is the adult form of the tadpoles we saw,” he says. 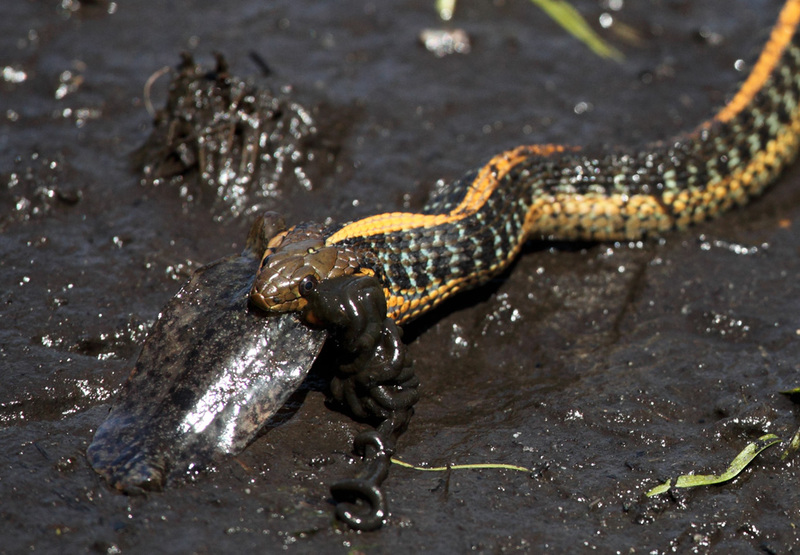 The herp-circle of life . . . At least some of those tadpoles will be a tasty treat for garter snakes, Rocco. Photograph by Paul G. Johnson, National Park Service. This file is licensed under a Creative Commons Attribution-NonCommercial license. Any find excites the students—a snail, a spider, a colony of ants. “Everything I’ve learned in science class relates to this,” St. Ann Academy’s Keara Klein says. To Keara’s mother Ann-Marie Klein, making the trip to San Francisco and Golden Gate National Recreation Area from Connecticut is well worth the effort. “For me, it is to give them an experience to see how great nature is,” she says. While walking out of the wetland restoration area back toward dry land, Valarcel strikes up a conversation with fellow guide Candace Makowski, a habitat restoration intern at Golden Gate National Recreation Area. “So the tree frogs are doing really well,” Valarcel says. What’s next? How about helping the most beautiful city in America (San Francisco, of course!) 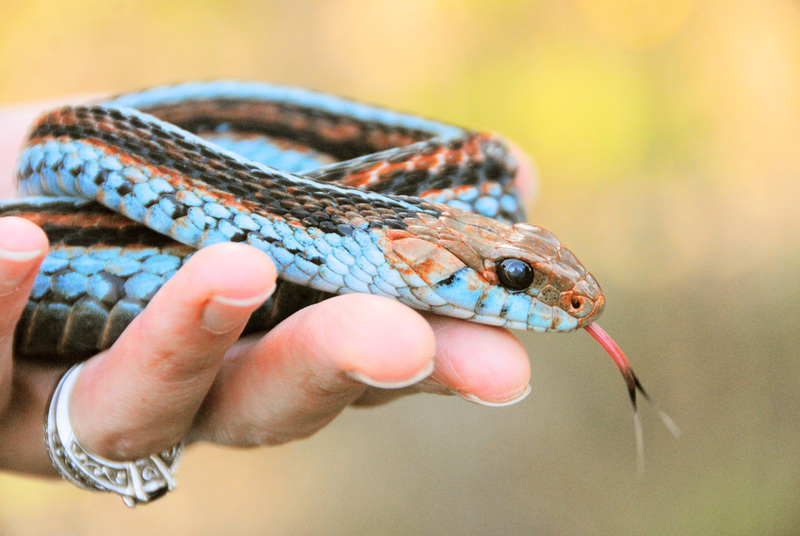 save the most beautiful serpent in America, the San Francisco garter snake? 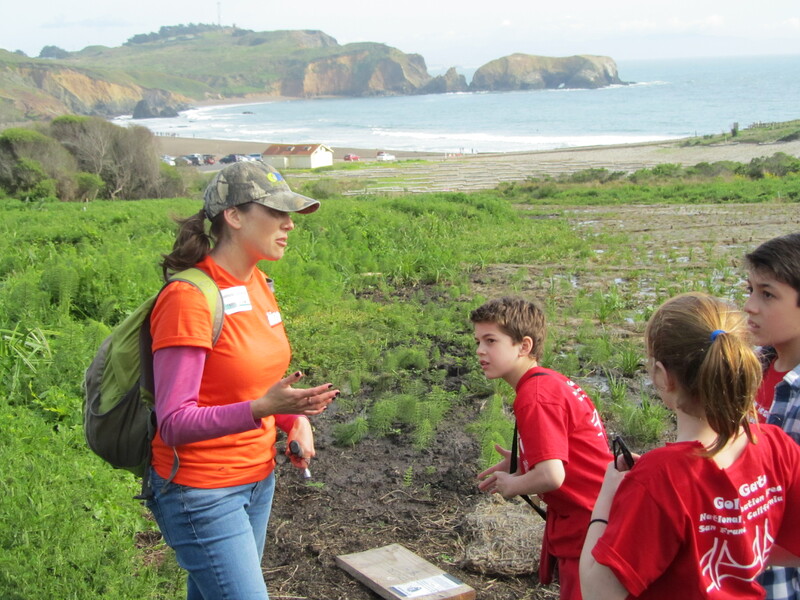 Learn more about a project to restore this azure beauty to its habitat in San Mateo County.